President Saparmurat Niyazov’s body has been laid to rest in the family mausoleum next to the largest mosque in Central Asia, that was specially commissioned by the late president. Unprecedented security measures were taken for the funeral. Thousands of people attended the three-hour farewell ceremony. Seven days of official mourning have been proclaimed in the Central Asian country. Meanwhile, the political elite in Turkmenistan seem to have started the electoral race already. Experts are making their own assumptions. “If we are talking about a figure who is capable of controlling the situation, then that figure is the head of Presidential Security, Akhmurat Redzhepov,” said Andrey Dubnov, political expert on Central Asia. Redzhepov was the only person who managed to keep his post in the latest years of Niyazov's rule. Other possible candidates for president include the Defence Minister, Agageldy Mamedgeldyev, and the Interior Minister, Akmamed Rakhmanov. Niyazov's son, Murat, is not on the list. He hasn't lived in the country and wasn't engaged in politics. Turkmenistan has two months to put forward candidates and refresh its memory about what democratic elections mean. However, experts believe, the final choice won't influence the country's politics, and Turkmenistan will remain the same closed and authoritarian country. Many analysts now are also talking about the possibility of democratic reforms taking place in Turkmenistan. But little is known about life in the country. Political commentator, Rustem Safronov, says it's too early to talk about a civil society in Turkmenistan, and people are not ready to initiate democratic changes themselves. “Some elements of civil society appeared in Turkmenistan at the time of Gorbachev’s reforms. Then the country was still part of the Soviet Union. There were some small groups. But none of them developed much when Niyazov came to power. Nationalists groups could no longer appeal to the people. As for other groups like environmentalists and civil rights movements they were disbanded for a variety of reasons. 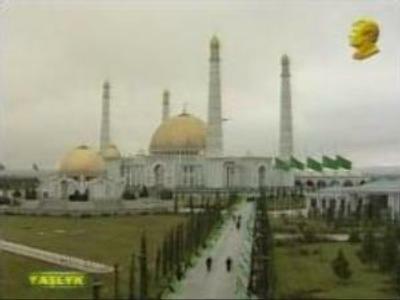 So there is no civil society now in Turkmenistan,” the expert concluded.